A modern traditional waistcoat that gives every wearer freedom at the Oktoberfest. Where a jacket is too warm and "man" likes to have something in the back anyway, that is just right with this vest. Thanks to the material mix, the vest will keep up with everything on the next hike. 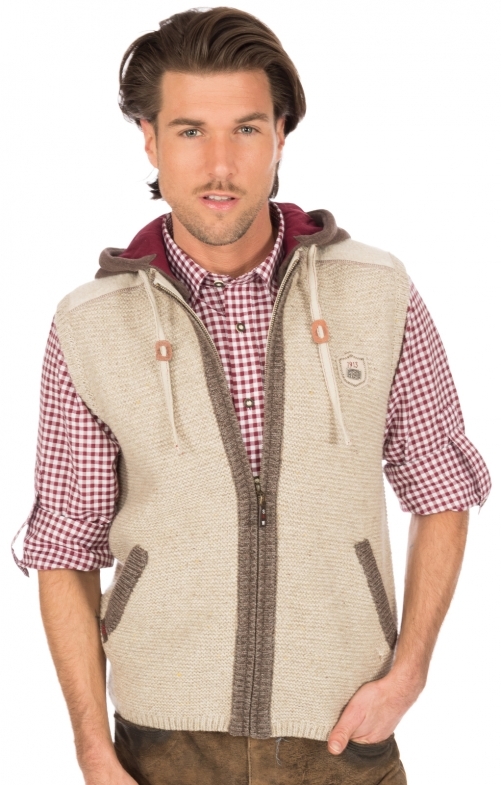 Removable soft hood and pockets complete this men's vest by Spieth & Wensky.